The legacy of Roger Purdue is evident in many places in Coupeville. It can also be seen in the Coastal Native logos he created that have been used to promote the Penn Cover Water Festival in Coupeville since 1992. 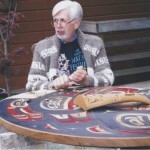 Last year, a few months before he passed away, the Water Festival honored the artist at a special celebration for his festival designs and his signature carved piece, the Salmon Wheel. The festivities included dancing, singing and the presentation of a button blanket, designed and made by Samish Tribe members Diana and Pat Dunn. A cedar hat decorated with an eagle feather was presented to Purdue by Samish Indian Nation cultural development coordinator Rosie Cayou-James. Purdue was born on Orcas Island where his family had lived since the early 1900s. His mother, Huldah, was half Coastal Native, a member of the Tsimshian Tribe. Purdue loved Orcas and lived there until he attended Western Washington University where he majored in art; after graduation he moved to Oak Harbor to take a teaching position. Throughout his life he made frequent trips to Orcas to visit his family and the land where he grew up. The Penn Cove Water Festival features annual tribal canoe races, Native arts and crafts, demonstrations, storytelling, dance performances, artist demonstrations, authentic Native foods, children’s activities and exhibits and displays. [/vc_column_text][/vc_column][/vc_row][vc_row][vc_column width=”1/1″][vc_column_text]Purdue was a registered member of the Tsimshian tribe. His mother was the first person to provide insight for him into his history. It was reinforced by many visits with relatives on his trips to Orcas. Huldah’s mother was a full-blood Tsimshian of the Raven Clan who had passed much native culture down to her daughter. Ferri recalled that Purdue told him of the many times his mom had shared this inherited knowledge with him. In 1976, when he was in his late 30s, he met and married a fellow teacher, Sara Sherman. Sara’s family had lived in the Coupeville area for over 100 years. When she described their relationship, she said, “We were true partners for 37 years.” They have two children—Wilbur, who became a teacher in Coupeville and established a farm on Ebey Praire, and Grace, who is a college student and lives in Mill Creek. 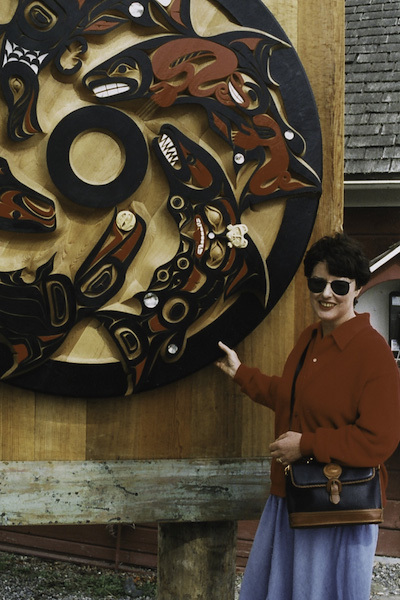 Sara said that Purdue didn’t really reconnect with his Native American roots until the two of them went on a sailing trip in 1990 and stopped for a visit at Annette Island, south of Ketchikan, Alaska. 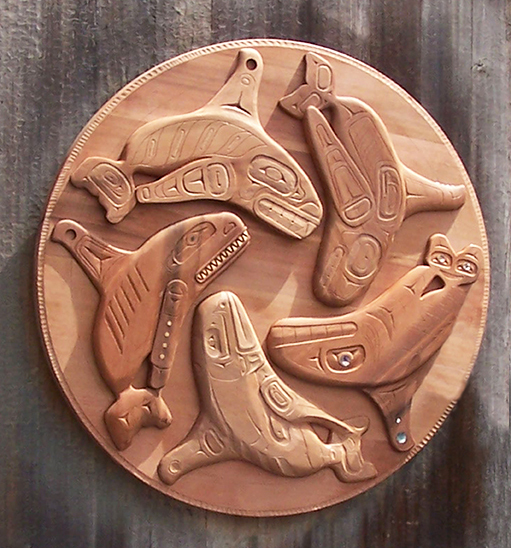 They went to Metlakatla, the main town on the island and the home of the Tsimshian Tribe, a people who are famous for their Northwest Coast art. While there, Purdue experienced much of the natural world that was part of his heritage: killer whales, humpback whales, grizzly bears, eagles, porpoises, ravens and other wildlife. 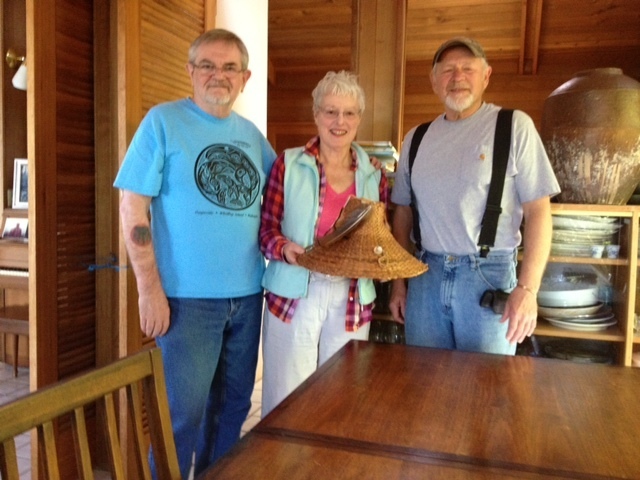 On the Alaskan trip, they visited several Native Coast cultural centers along the way. At Haines, Alaska, they met Shaman Charlie, who participated in the canoe races that became a part of the Penn Cove Water Festival. Shaman Charlie gave Purdue a set of carving blades. While at a stopover in Victoria, Purdue visited the Royal Museum and spent considerable time educating himself about Native Coast art. Shortly after the sailing trip, the two drove from Coupeville to Prince George Island with some friends. Along the way, they stopped to see the Northwest Coast Native art: the carvings, totem poles and longhouses. More and more, Purdue awakened to his heritage. A major artistic highlight of Purdue’s career was the creation of the Salmon Wheel, which he worked on from 1993 to 1996. “The Spirits of the Salmon” originally was displayed at the base of the Coupeville Wharf but now resides in the Island County Museum. Five different salmon on the wheel represent the five species that live in this area. 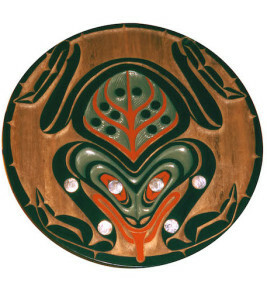 The wheel commemorates the importance and spirituality of the salmon and the environment; the circle and its ability to spin represent the cycle of life. In 2006, Purdue was diagnosed with Parkinson’s. As the disease progressed, many people came to visit Purdue to help in whatever ways possible, often just to listen to his stories. He died on January 19 of this year, but the amazing heritage he left behind of carvings, sketches and paintings will long be treasured in the Coupeville Area. 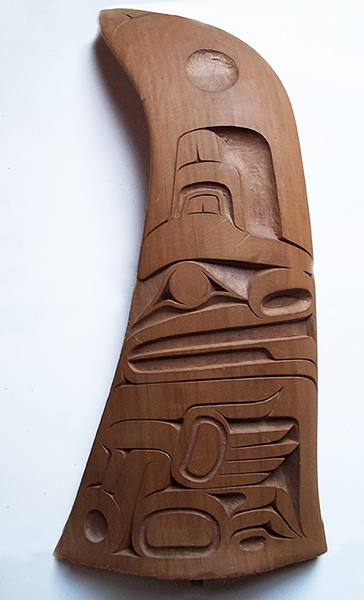 And, as Ferri suggested, his work may well become widely known and appreciated in the Pacific Northwest and beyond.